With the New Year well underway, it should come as little surprise that there are a number of product launches underway at Martha Stewart Living also. Rugs, lighting fixtures, doorframes, wine and food items are all being rolled out in force this year. As always, it’s very difficult to keep up with the fast pace of output! I thought I’d lay it all out for us to assess, as much as I dislike the idea of making this site an advertising forum. Admittedly, though, we’re all fans of Martha’s wares, so why not indulge! Tracery, Sprig, Bloomery, Constellation, Faux Bois, Foliage, Grove, Sea Flora, Pinwheel and Reflection are a few of the names in a very expansive collection of new rugs by from the designers at MSLO. Made by Safavieh, the rugs come in natural cotton fiber, flat weaves, wool petit point, Tibetan, Nepalese and Oushak. A limited 15,000 –bottle rollout of new wine called Martha Stewart Vintage is currently being tested in six U.S. cities before a possible increase in distribution. 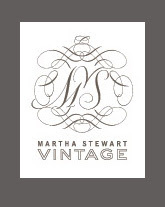 Atlanta, Boston, Charlotte (NC), Denver, Phoenix and Portland are the lucky cities who will get first dibs on three varieties of Martha Stewart Vintage, which sell for $15 a bottle, from the vineyards of E&J Gallo of Modesto, California: chardonnay, merlot and cabernet. Visit Costco for an expanding line of Kirkland Signature Martha Stewart frozen entrees, appetizers, soups and packaged baked goods. Currently, only the Holiday Ham and three varieties of soup are available: cream of mushroom (which I’ve heard is delicious! ), minestrone and creamy tomato. Watch for more soon! Seven new doorframe designs by Martha Stewart Living are available with KB Home, the builder responsible for constructing the Martha Stewart Signature houses she designed with her team. 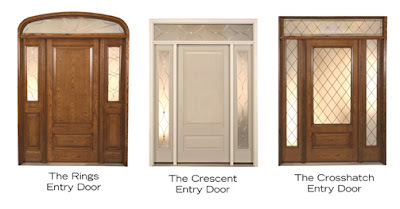 Each doorframe features details seen on doorways in her own homes, like the three below. From left to right: a copy of the front entrance to Martha's home in Bedford; elements of the front door at Turkey Hill are evident; a replication of the Lily Pond Lane front entrance. The doorframes are sold exclusively at KB Home, available for any design in the KB Home family, not just Martha’s home plans. *Martha Stewart Everyday at Kmart: the original brand that started it all is still going strong, with hundreds of items and dozens of collections. *The Martha Stewart Collection at Macy’s: Timeless, beautiful pieces, mostly for the bed, bath and kitchen. Gorgeous! *Martha Stewart Flooring with Flor: Carpet tiles to mix or match provide an economical and ecological alternative to wall-to-wall carpeting. *Martha Stewart Crafts: a wide range of excellent craft products available at Michael's craft stores. Nice rug. Fit for my new condo.